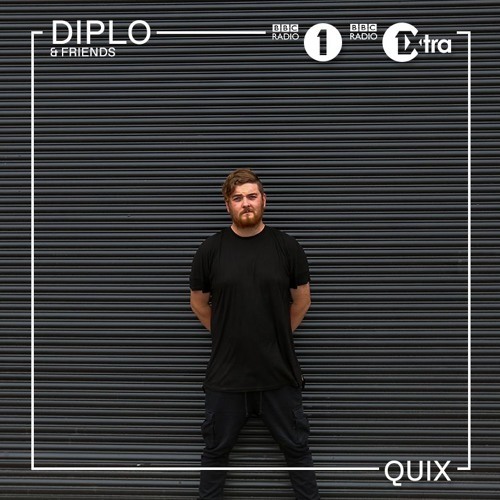 Quix delivers a variety of trap, dubby, and classic bangers in his hour long Diplo & Friends Mix. Quix has been on the rise in the past couple years, breaking through with one of bass music’s biggest hits of 2016, “Supernatural.” He’s had the support of some of the best indie labels in the game including Mad Decent, Dim Mak, and Nest. A highlight of his year has been a release in the form of an EP called ‘Heaps Cool’ featuring six tracks. Most recently he released a fresh mix filled with nothing but energy and entertainment the BBC Radio1 show Diplo & Friends. Quix also proceeds to provide listeners with some bang-up mashes and mixes on hip-hop hits like the use of the trumpets in Drake’s “Trophies” on Zhu’s “Wasted,” the selection of big time tune “Mask Off,” and the monstrous Suicide Squad soundtrack “Purple Lamborghini” featuring Rick Ross. He takes it off to a nostalgic moment with the addition of classic experimental bass music in the form of Carmack’s track “Charge,” and the new track with Stooki “Uppers.” Alison Wonderland also gets some love in this superb radio mix, as Quix follows Matroda’s “Bad And Boujee” edit with the ever so “lit” Alison Wonderland “Messiah” Re-Crank’d version by Crankdat.